Home » Incometax » How to deal with Income Tax Notice? My one of the relative recently got Income Tax Notice via e-mail. He got panic and was unable to sleep for whole night. In the morning when he read that e-mail again, he encountered that E-mail was just reminder email for filing income tax return:). Well point here is “No one of us wants to hear from Tax man today”. Getting Income tax notice is the worst nightmare for taxpayer today. Why Tax payers get Income Tax Notice? Return not filed or Delay – In case your employer has already deducted tax and you have not filled income tax return you are likely to get income tax notice asking to file Income tax return. You need to respond to this notice in time otherwise you may get penalized. Mismatch in TDS amount – TDS (tax deducted at source) figure mentioned in your form 16 is different compare to tax credit statement form 26 AS. 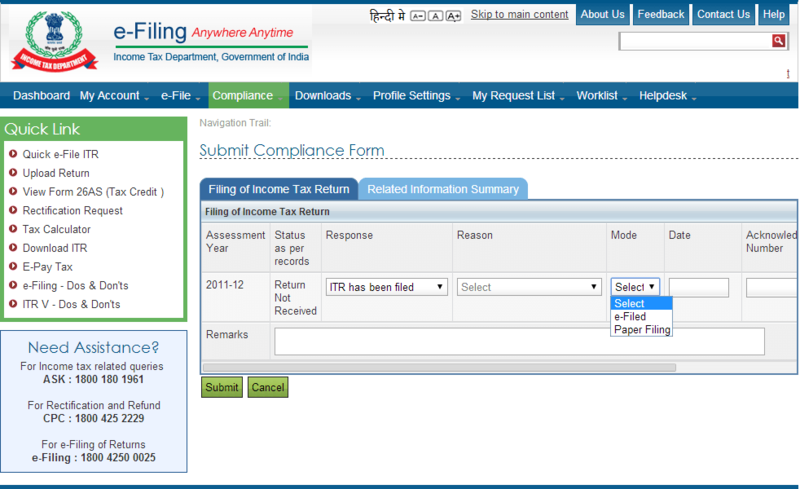 You have filed income tax return without checking this detail. Different in TDS amount in 26AS may be due to your employer might not have deposited tax or deposited amount against different PAN number. Under this case you need to file rectified Income Tax return. Not Reporting Additional Income – You are likely to hear from Income tax department if you have forgotten to declare incomes like interest from fixed deposit or any other source of income. Review of Documents – Sometimes Income tax department wants to review documents based on which you have filed income tax return. You need to submit the documents or proof to income tax within certain time limit. High Value Transaction – Remember all high value transactions are monitored by income tax department. If any mismatch found in your income verses this truncation you are likely to get income tax notice. Following high value transactions are monitored. Mutual Funds Investment of 2 Lakh or above in a year. Purchase of Bond or Debenture 5 Lakh or above in a year. Purchase of shares worth 1 Lakh or above. Sale or purchase of property value worth 30 Lakh or more. Non-Disclosure of Capital Gain – If you have made capital gain by selling stocks/property, but forgot to mention the detail about capital gain in Income tax return you are likely to get Income tax notice. Investment on the name of Spouse or Kid – You have invested money on the name of your spouse of kid and generated income out of it. If you are not reporting clubbing of Income you are likely to get income tax notice. 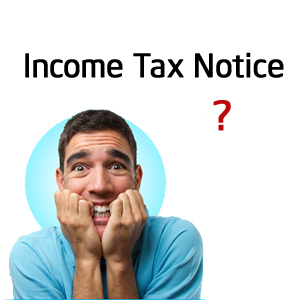 In case you have received income tax notice don’t get panic you need to oblige the taxman. Follow the steps given below to deal with Income tax notice. Step-1- Keep calm and read the notice carefully understand first what tax man is trying to communicate by notice. Step-2 – Verify Basic details given in notice. Check if notice is on your name. PAN number mentioned in notice is correct or not. Check if notice is for this year or previous year. Step-3 – Find out exact reason for the notice. In order to know exact reason follow steps given below. In the Menu you will find “Compliance” section. Under this section you will find “Related Information Summary”. 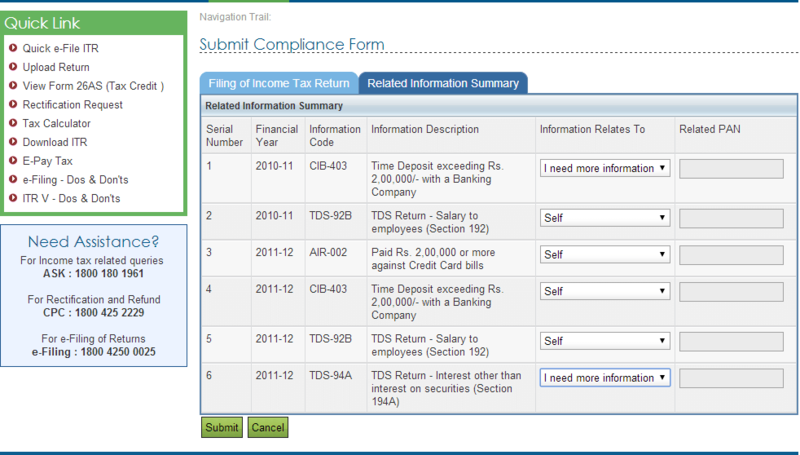 You will find information about notice under section “Status as per record” like Return not received, Paid Rs. 2,00,000 or more against credit card spending etc. Step-4 – Take appropriate action based on reason. Few action points are given below. If you have not filed income tax return and it is under preparation. You have already filed income tax return before. Action – Select Information is related to “Self” or “I need more information”. If you find above action steps confusing you may take help of tax expert or chartered accountant. Hope you find above information useful. Do share your query in comment section. I have received a notice u/s143(2) of income tax for high value cash deposit in my account in FY 2014-15. The amount was received as loan from my close relatives who are not income tax assessee and I do not have any documentary proof of such loan. Please suggest how should I reply. Kindly make agreement of the Loan. Also show that you are repaying money back to your relative. This evidence you need to show while replying notice. I do not have back dated stamp paper. Agreement of loan paper would suffice or not. Please suggest. Simple plain agreement/promissory note will suffice.However as it is cash transaction you are likely to face tax related problems. Respected sir I appreciate your writting I got information here which I don’t get from anywhere just to get this information I consulted an advocate and she charged me 3000 fee just to talk to me and she even said this not free and I dint know this I said I don’t have money I thought she would charge me 200/300rs I keep loosing money this way just for consulting from anyone may be I’m a girl so everyone want to make easy money but no one understands I’m a middle class female who earns money by working for 6000rs to 10000 rs. I first started my job at rate of 600rs and now this country is so corrupted I worked in different places but none gave me expericence letter I had lot of questions to ask on after what all I had been through I’m now scared to go to any lawyers or chartered accountant. But this blog helped me a lot. Also what am I suppose to do in places where in I work and they don’t provide me work papers only place I got papers was when I worked for a call centre they started paying me only 6000rs which was not enough for me to run my own expenses and also travel cost. I had to make a train pass and also take a bus everyday from station to my office. But this is past and I also would like to know why ain’t lawyers or chartered accountant give me a receipt for givine me a consultation on any matters I seek help on? I would they charge me so expensive just at once with out any paper work or any agreement. Even a bond paper wouldn’t cost me 3000rs. If you could assist me with this I would be greatful to you sir. Blesses and I hope you keep writing up more blogs. You have written in such a easy way and explained it in a very thoughtful procedure. Thanks Mr. Raviraj and my last question is why can’t I find a tax method on travelling abroad how many times can a Indian travel abroad and on what purposes can it be.